I'm going with tacky as "not having or exhibiting good taste". 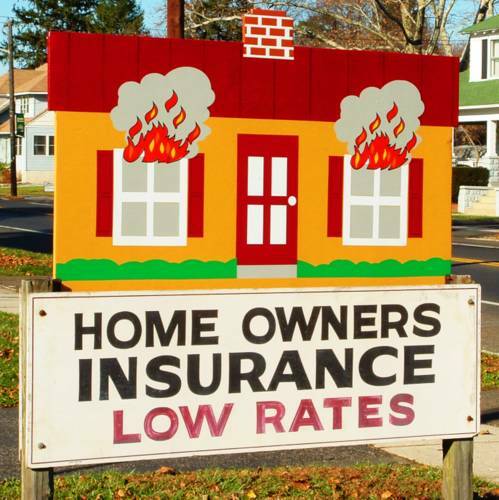 My Home Owners Insurance Provider. oh man, that is just crazy. like showing an airplane crash movie on a plane.